The life of a “youth icon” can be hard. Work hard(ly), party harder, and the result is catching up with sleep at any possible time. Of course Rahul Gandhi is no youth icon anymore, being on the wrong side of 40 years, so the above doesn’t apply to him. 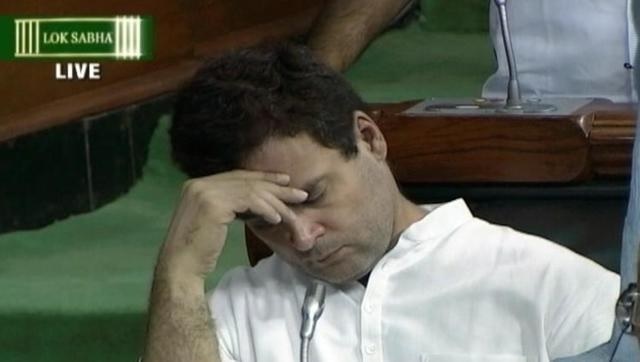 But such debates may arise because if media is to be believed, Rahul Gandhi was caught sleeping in the Lok Sabha. Almost exactly 2 years back as well, the crown prince was caught dozing off in the Lok Sabha, in the midst of a debate. One would imagine he would have realised he needs to wake up and smell the coffee but apparently he has been caught napping again. This time the media claimed to have caught him “sleeping” during a debate in the Lok Sabha on the issue of atrocities on Dalits. Ironically the same Rahul Gandhi is scheduled to visit Una, the place where Dalits were allegedly thrashed, to show “solidarity” with them. While only Rahul Gandhi knows what he was really doing, his sycophantic fans and followers have made it even tougher for him to explain.